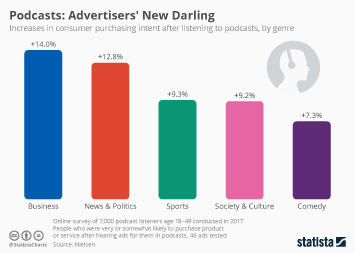 Over the past few years, podcasts have quickly grown from a niche phenomenon to what can now be called a mainstream medium. 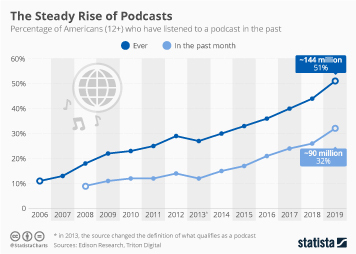 According to estimates from Edison Research, roughly 90 million Americans listen to podcasts every month, with the most popular ones reaching huge audiences. Interestingly, the format attracts hobbyist content creators as well as professional media companies such as the New York Times. 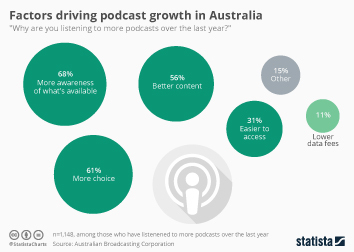 The low barriers to producing a podcast - you can basically do it on a modern smartphone - has helped the medium's popularity immensely by creating thousands of podcasts covering any topic you can imagine. 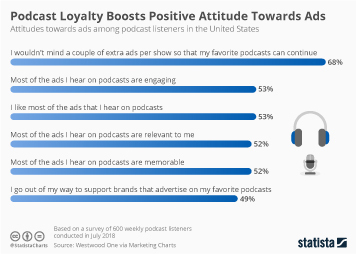 While there's a huge longtail of independently produced, special interest podcasts, the top performers are professionally produced and listened to by millions in some cases. 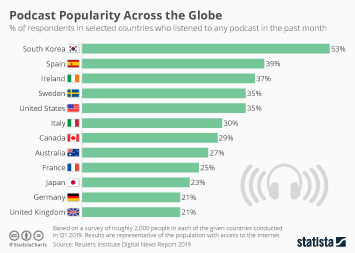 "The Daily" for example, a daily news digests providing listeners with in-depth commentary on current events straight from the New York Times newsroom, has millions of fans in the United States and internationally, making it one of the most popular podcasts in the world. 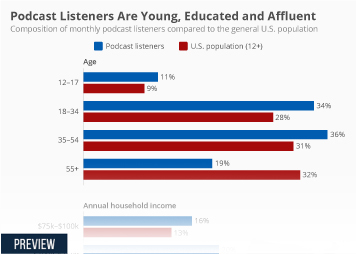 The following chart ranks the most successful podcast publishers in the United States by their monthly audience. 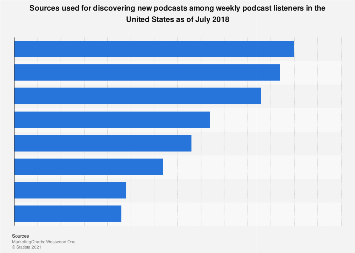 According to podcast analytics company Podtrac, NPR is the biggest provider of podcasts with a monthly audience of nearly 18 million in the U.S. alone. 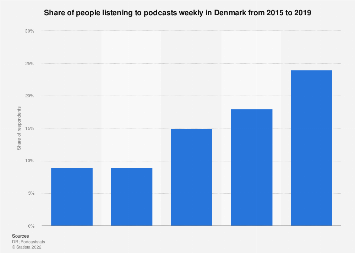 This chart shows the largest podcast publishers in the United States.